Please find "Yineng mould" via search engine,Welcome to visit our website. Yineng Precision Mould Co.,Limited, it is located in Sha Jing town,Baoan District,Shenzhen,China. It is a comprehensive enterprise that engaged in plastic mould design&producing,plastic product production and processing service. 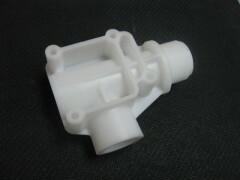 The mold product produced are included:Automobile,electric appliance,tele communication devices,home appliance,medical instrument,toy etc.we are production that have injection molding,double injection mould,2 shot mould,rapid prototyping,over mould,die-casting mould,and the BMC mould,MUD mould,the DME specification of MUD mold,and the piece of the HASCO specification mould. In the production of plastic part,We provide injection mould,spray-paint,silk-screen,pad printting,electroplate,bronzing and assembly etc services. If you have enquiry or question, pls contact Eileen.luo@yinengmould.com & Eileen.luo@3k-mold.com. Skype-Eileen121700. Welcome to visit our company!